Data1850: Explore, visualise, compare and download long-term economic data for New Zealand. 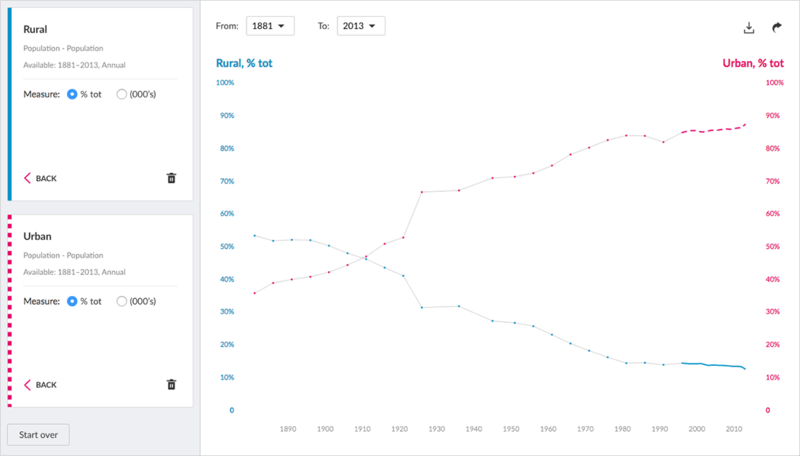 See how New Zealand’s population has moved from predominantly Rural to Urban over the last 130 years. Download the full long-term dataset and other useful resources, including links to relevant websites and chapters from ‘Looking at the Numbers’ by Phil Briggs. NZIER’s public good programme brings you Data1850; the fastest way to explore, visualise, compare and download long-term economic data for New Zealand.